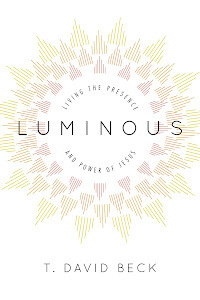 This morning in my devotions I read Ps 48, in which I noticed a couple of interesting things. First, the Psalm focuses on Mount Zion and the city of Jerusalem. When we read this Psalm, we get a window into the reverence and affection ancient Jews had for the holy city. Especially at the end of Ps 48, there is a very close connection between the beauty and majesty of the city and the character of God. Imagine, then, the stir it would cause when Jesus (or any other prophet) would proclaim doom for the city or its temple. Back to Mother Teresa... One of her great secrets, which has now been revealed through the publication of her private correspondence, is that Mother Teresa took a personal vow that would forever shape her spiritual life. It was: "not to refuse Him anything." Her love for Jesus was expressed in this vow. How can one refuse one's Beloved? And, in the case of Jesus, he gave all of himself for us, so how can we not give all of ourselves back to him? She strove to keep this vow down to the most minute detail of life. What this requires is habitual and loving attentiveness to God in prayer. It is being mindful of what God might require in each present moment. Thus, although Mother Teresa is a Catholic saint and therefore somewhat distant from the world of many evangelicals, all Christians are familiar with what is at the core of her relationship with God: loving obedience. "The factual nature of the Christian life as defined and described in the New Testament has been so forgotten, being overlaid by the modern conception of its being the sum of our activities aided by grace operating on us from without, in something of the way that steam-power acts upon the pistons of an engine, or the influence of a teacher acts upon a pupil, that we have come to regard such words as either rhetorical exaggerations or as expressing some 'experience' known only to the Saints" (p. 58-59). As I reflect on Mother Teresa, it occurs to me that among Christian leaders, there is a big difference between a worker who loves and a lover who works. We are all called to both -- loving God (cf. the Shema) and working in his kingdom. The question is what defines us -- our role as kingdom activists or our love relationship with God. There are a great many Christian leaders who are primarily workers. They love God, but their love for him is carried by their role as leader. Their leadership role reaches deeper places within them than does their love relationship with God. Although Mother Teresa was famous for working very, very hard, her writings reveal someone who is not primarily a worker. That is one of the main reasons why she was canonized as a saint, and she is someone worth rediscovering. Most of us know Mother Teresa as a servant of mercy among "the poorest of the poor" in Calcutta. She has inspired countless people around the world with her ministry of compassion. Now I am discovering Mother Teresa as an example of spiritual devotion to Christ. I am reading the book Mother Teresa -- Come Be My Light: The Private Writings of the "Saint of Calcutta", edited, compiled, and with commentary by Brian Kolodiejchuk, who knew Mother Teresa for 20 years. Through Kolodiejchuk's commentary and Mother Teresa's own words, we gain a window into her prayer life and her relationship with God. We find out what made her tick. The result is that Mother Teresa becomes much more than just a doer of good deeds in the slums of India. Well, it's Wednesday, and we are still the church. The next president of the U.S. will be Barak Obama, and that upsets many conservative Christians. But as I told my kids this morning, it's possible that Obama could turn out to be a very good president. We'll have to see. Sometimes when he talks, he makes a lot of sense. Other times he sounds like a radical who may push agendas that are not good for the country. After listening to McCain's concession speach last night, I was once again struck by the class of that man. For that reason alone I wish he was our president. He is someone we can all learn from. Who's afraid of election day? I have been a bit saddened by the amount and degree of angst shown by Christians over the election this year. (And it seems like there is a similar amount of Chicken Little-ing every election cycle.) I think many Christians may be burdening themselves with an unreasonable set of expectations. If we think America is going to be the embodiment of the kingdom of God, I have to ask where we got that idea. I don't see it written in Scripture that any human society, other than ancient Israel perhaps, is expected to embody the kingdom of God. Jesus seemed to view human governments from a fairly neutral standpoint. "Render to Caesar what is Caesar's..." It's okay if there is a Caesar, and it even seems to be okay if Caesar doesn't give a rip about the God of Israel. The bottom line is that we have to trust that no matter what things look like, God has not removed his providential hand from the tiller. He continues to steer a course as he sees fit.